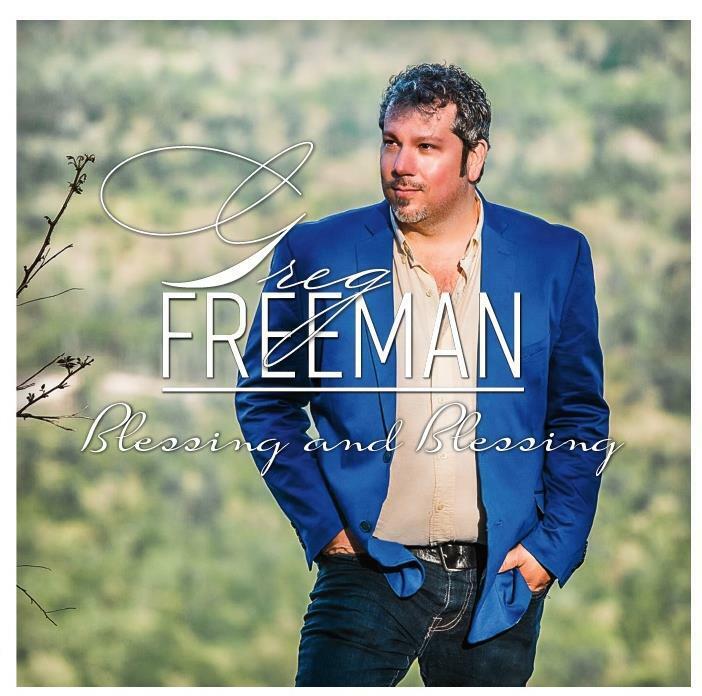 Blessing and Blessing, the gospel debut from Greg Freeman, whose gospel material -- up to this point -- had been recorded by other artists, released on December 28, 2018. This exciting, long overdue project was produced by southern gospel veteran Art Bain, with select tracks co-produced with GMA Dove Award winners Babbie Mason and/or Phil Cross. Additionally, the EP features two duets, one with Babbie Mason, the other with GMA Gospel Music Hall of Fame inductee Calvin Newton! Freeman says, "I am very thrilled that I got to work with several of my friends who are not only enormously gifted in their own right but they were committed to supporting me and helping me sound my best on this project! I feel so blessed, and I hope this project reminds listeners to live out their faith with a greater spirit of gratitude. The songs have certainly spoken to me, and reminded me of just how good our God is! He just keeps on blessing and blessing, showering me with His love, mercy and grace, even when I least deserve it." Conveniently use the links below to buy Blessing and Blessing today at iTunes or Amazon! Also, be sure to check out the project at Spotify, YouTube, Pandora and more! Want a phyical CD instead? Click here! "...Neither earth nor sky above could ever separate me from your love." 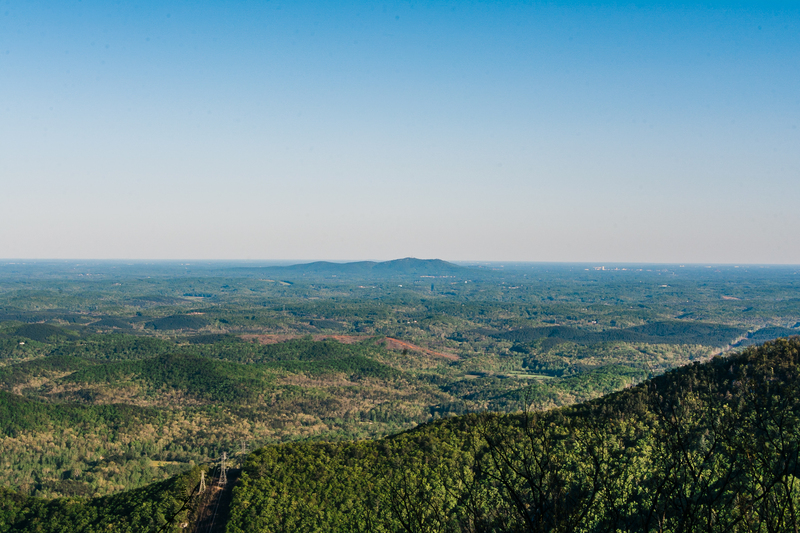 Unless otherwise stated, all photographs of Greg Freeman on this page by Selena Martin Isbell, Cotton Creek Photography, Fair Play, South Carolina, USA, and may not be used without written permission. Copyright © 2012 Hanna Street Music (BMI) (adm. at CapitolCMGPublishing.com). All rights reserved. Used by permission. Copyright © 2018 Greg Freeman Music (BMI), Praise and Worship Works (ASCAP) (adm. by BMG Rights Management US, LLC, 1745 Broadway, 14th Floor, New York, New York 10019 USA). All rights reserved. Used by permission. © Fort Knox Music, Inc. (BMI) (adm. by Round Hill Music, 1802 Grand Avenue, Nashville, Tennessee 37212 USA), Mark Four Music (BMI), Trio Music Company (BMI) (adm. by BMG Rights Management US, LLC, 1745 Broadway, 14th Floor, New York, New York 10019 USA). All rights reserved. Used by permission. Copyright © 2018 Praise and Worship Works (ASCAP) (adm. by BMG Rights Management US, LLC, 1745 Broadway, 14th Floor, New York, New York 10019 USA), Greg Freeman Music (BMI). All rights reserved. Used by permission. April 1, 2019 - Featuring Greg as a guest, an episode of Babbie Mason's talkshow, Babbie's House, aired in the Atlanta area. In an impromptu duet, Babbie and Greg sang her great song, "The House That Love Built," and Greg performed two songs from Blessing and Blessing: Bill Gaither's "If It Keeps Gettin' Better" and "Nothing Can Separate Me," a song Greg and Babbie co-wrote. Ricky McKinnie, a member of the multiple Grammy Award-winning Blind Boys of Alabama, came out to the studio to support Greg. Babbie's House also airs nationally on the National Religous Broadcasters (NRB) network. January 22, 2019 - Greg was the featured artist on Atlanta Live, the flagship program at WATC TV 57. Hosting the show were Dr. Erol and Sandra Onal! January 16,2019 - GMA Dove Award-winning artist Babbie Mason interviewed Greg and featured "Nothing Can Separate Me" in an episode of Babbie's House on the Radio, which is aired on www.BabbieMasonRadio.com. January 4, 2019 - Most digital outlets, including iTunes, Amazon, YouTube and Pandora added Blessing and Blessing to their stores. 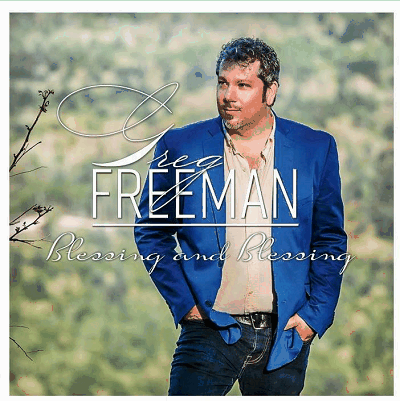 December 28, 2018 - Greg Freeman's gospel debut, an EP titled Blessing and Blessing, officially released. The first buyer of the project was a gospel music fan in Norway! 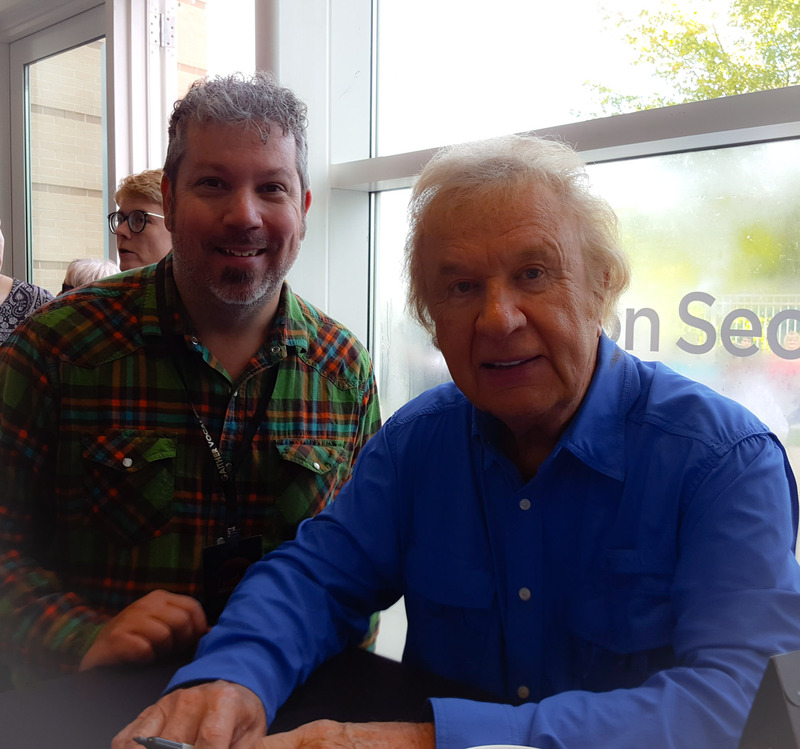 Here is Greg Freeman with Bill Gaither on October 20, 2018 at the Bon Secours Wellness Arena in beautiful downtown Greenville, South Carolina, where the historic Gaither Vocal Band Reunion Live! was held. Blessing and Blessing contains an early Bill Gaither song, "If It Keeps Gettin' Better." Greg Freeman is publisher and editor of Southern Edition, the digital publication devoted to the American South, for which he has interviewed Grammy Award winners Bill Gaither, Ashley Cleveland, Wes Hampton, Ricky McKinnie (of the Blind Boys of Alabama) and Chris Albertson (record producer and author of the Bessie Smith biography, Bessie). Greg's articles on gospel songwriter Cleavant Derricks and pioneering blues singer Ida Cox have garnered international readership. Greg is a well-published author, whose musician biographies have appeared in major encyclopedias, including the African American National Biography. 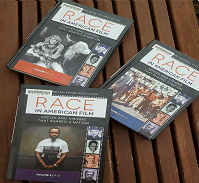 He has contributed to other authoritative works, including Race in American Film: Voices and Visions That Shaped a Nation (2017) and The British Empire: A Historical Encyclopedia (2018). He was also an important contributor to the book, Encyclopedia of Arkansas Music (2013), and an essay by Greg appears in Gender and the Modern Sherlock Holmes: Essays on Film and Television Adaptations Since 2009 (2015). In addition to Southern Edition, the Greg Freeman Publishing family includes Greg Freeman's Garden Chronicle (ISSN 2575-9744), an internationally-read gardening publication, and Sires and Dams, a publication devoted to horse breeding. Being Bold. Embarking on an adventure or pursuing a dream requires courage and audacity. 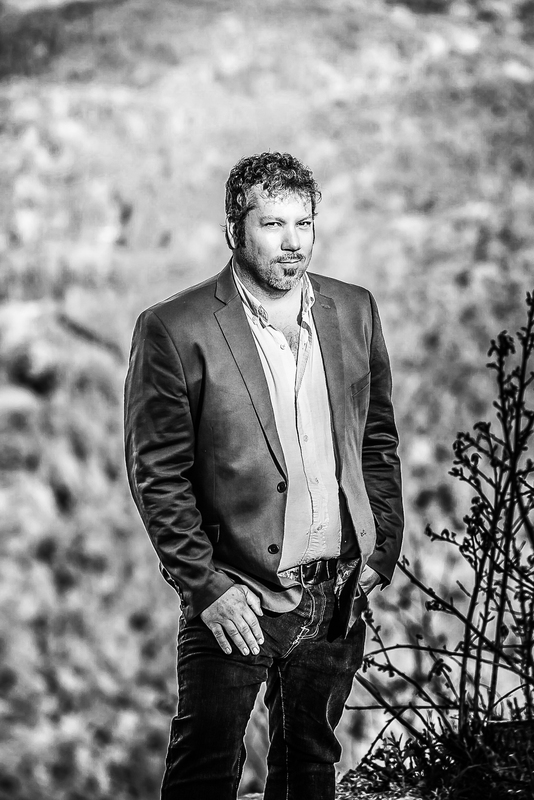 Ambitious and driven, American singer, songwriter and author Greg Freeman established Diving In Entertainment, LLC in May 2014 to serve as a conduit through which music and other media can impact lovers of great music, films and television! Having Faith. If faith is the opposite of fear, Diving In Entertainment, LLC is casting aside any fears of failure and welcoming the challenges any small company is bound to face amid industries dominated by corporate giants. Diving In. 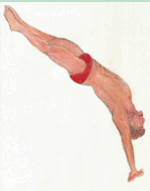 While some teeter on the edge, we are diving in with all we've got! We are aiming globally, while others function within rigid figurative and literal boundaries. We aspire to touch the heart and stir the very consciousness of our audience, while most companies seek to merely catch the wave of the latest passing fad. And, though many labels and production companies hope to do little more than market their product to the new generation, we wish to influence and inspire individuals of all ages to live and love passionately. Through creative self-expression, we can foster brotherly love, encourage profound thinking and promote the kind of positive action that could change our world!